The International Business School at Vilnius University – the first business school in Lithuania at one of the oldest universities in Eastern and Central Europe – commissioned Tourism Growth in 2013 to design and deliver a development programme for managers of hospitality, tourism and leisure businesses from across Lithuania. 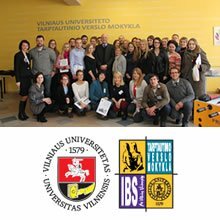 Partner Project: Read more about Tourism Growth’s partnership with Vilnius University IBS. 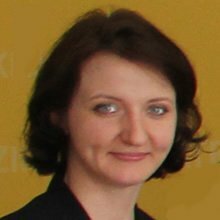 “When I planned the programme I was looking for an international tourism consultant with a high-calibre experience and profound knowledge of the hospitality business. Paul Hickey was recommended to me by a well-known hotel director in the UK – and when I met Paul I realised we had made the right choice! The programme he delivered personally in March 2013 made one of the most significant positive effects on our overall tourism project here at the International Business School. Delegates found his training sessions extremely interesting, relevant and innovative – as well as being very ‘hands-on’ and practical – perfectly suited for a group of busy hospitality managers. They also liked the fact that Paul got them working together in small groups and teams which encouraged a high level of communication and collaboration. From my point of view as project manager, I also found Paul to be the most helpful of consultants with whom to work. Highly professional at all times, he completed all the administrative requirements perfectly and delivered all the outputs I required on time.